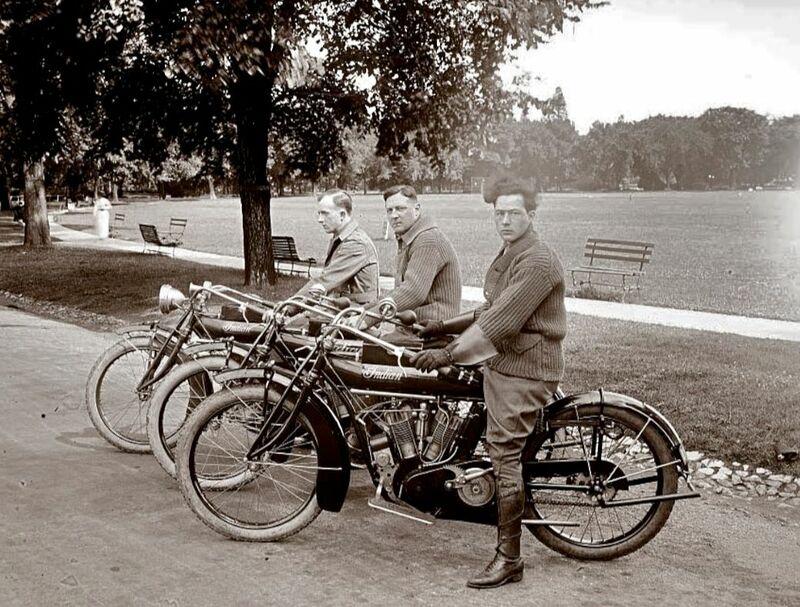 Three Gentleman posing with their with their early 1910’s Indian Twins in a city park. You can see many more interesting motorcycle photos here on The Old Motor. This entry was posted in Motorcycle photos and tagged Indian.